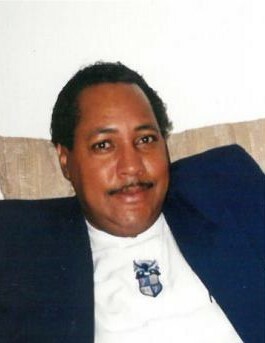 Gilbert Morrison, age 66 of 797 Pee Dee Rd., Aberdeen, NC passed on Monday, April 8, 2019 at Moore Regional Hospital. Mr. Morrison, was born on April 19, 1952 to the late Howard G. Morrison and Dorothy M. Morrison. He departed this life Friday, April 5, 2019 at First Health of the Carolinas Hospital in North Carolina. Mr. Morrison attended Pinckney High School in Carthage, NC. In his earlier years he was employed as a Mechanical Technician where he met many people, and was stranger to none. He was an avid church goer and self-taught piano player with a passion for the faith and for a short time was singer with a gospel group. Mr. Morrison had a natural passion for cooking and not to mention decorating homes inside and out. He truly enjoyed being with his family on different occasions such as family reunions, birthday parties and spare of the moment cookouts. He loved building things and working on cars. He attended church every Sunday with a passion. Mr. Morrison fell Ill in 2008. The last four years of his life, his health was a definite challenge. He fought hard, but to no avail. His heavenly father decided there was to be no more suffering; it was time to come home. Preceding him in death are both parents, 4 Brothers Howard Jr. (Bob), Harry, Ricky and Larry, who transitioned at 10 years of age. Gilbert Nathaniel Morrison is survived by his two sons; daughter in-law and grandchildren of Charlotte, NC; sisters, Betty Morrison of Carthage, Carolyn Lawrence of Durham, Wanda Gore of Kannapolis, Phyllis McGhee of Durham and Patricia McMillan of Carthage. Also Surviving Mr. Morrison is 2 family Matriarchs, Ms. Juanita Goings of Carthage and Mrs. Lillie Brooks of Winston Salem, an Honor to be dually noted and a host of cousins, nephews, nieces and family friends.